With summer on our footstep all I want to do is shove fruit in my gob and eat stuff with piles of cold, whipped cream thrown on top of it. It is really difficult though, to leave wintry desserts behind – I don’t know about you but I won't say no to a treacle pud whatever the weather. 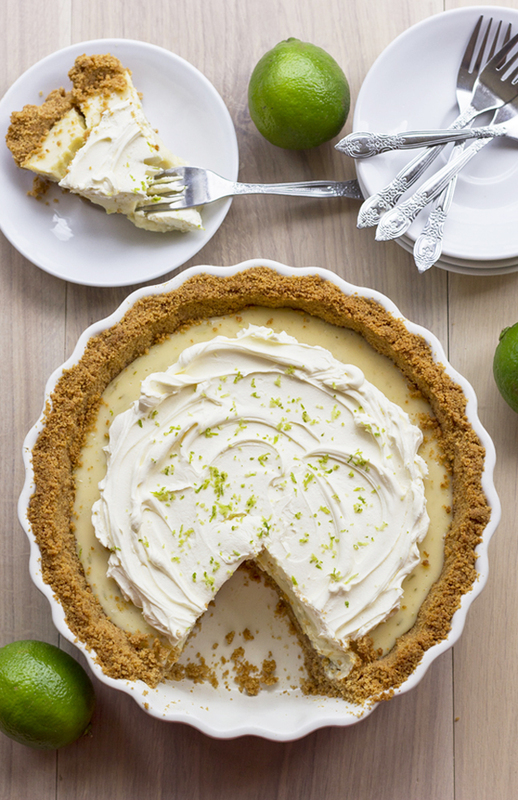 A little warning if you’re feeling in the mood for this pie – it's expensive to make. But take a deep breath. Its worth the extra dough. Why? Well, quite frankly, why not? It tastes so fresh and the textures mingle so darn well together, so I think that's worth the £15 spent on ingredients, its such an effortless pie as well, plus, you can hardly taste the richness from the 8 egg yolks - So easy and SO worth it. Preheat the oven to 170C. Put all of the biscuits into a food processor and pulse until fine crumbs form. Whilst the processor is still running, pour in the melted butter until the crumbs stick together. 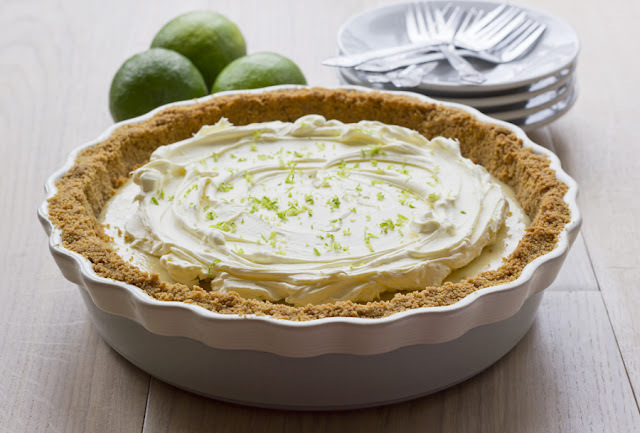 Pour the crumbs into a pie dish, with a tablespoon and your fingers press the crumbs into the sides and bottom of the dish. Bake for 10 minutes until darker in colour then leave to cool slightly. Reduce the oven to 150 C. Zest and juice all of the limes and set aside. In a large bowl or freestanding mixer with the whisk attachment, add the condensed milk, egg yolks and lime juice and whisk until thickened for one minute. 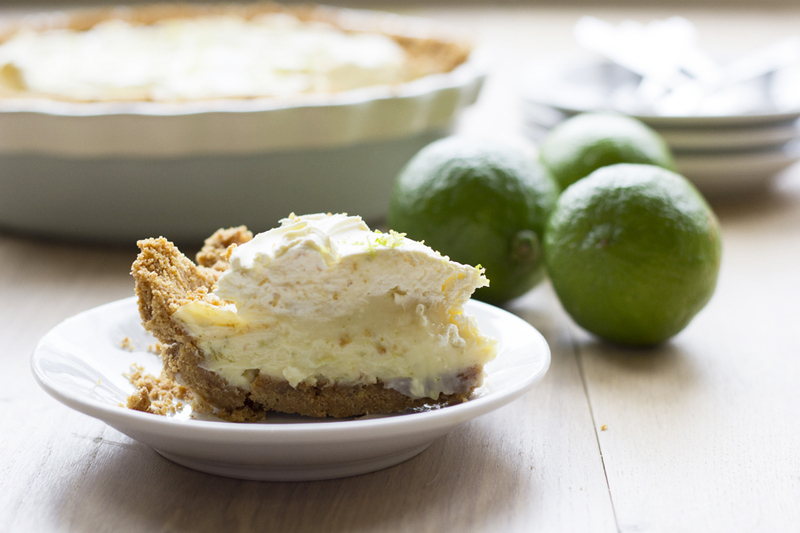 Set aside a small amount of lime zest for sprinkling on top of the pie and add the rest into the condensed milk filling. Pour the filling into the prepared pie crust and bake for 20 minutes. Leave to cool completely. In the mean time, whip the cream until stiff (but soft) peaks form. Layer the cream on top of the cooled pie and garnish with the reserved lime zest. Pie is best served after 2 to 24 hours of 'settling/flavour mingling' time in the fridge. Have you ever made Key Lime Pie, was it as darn simple as this beaut?! So damn zesty! It is so good but none for me at the moment - on a diet! whose got time for diets becs! Yum I love Key Lime Pie, this looks perfect! 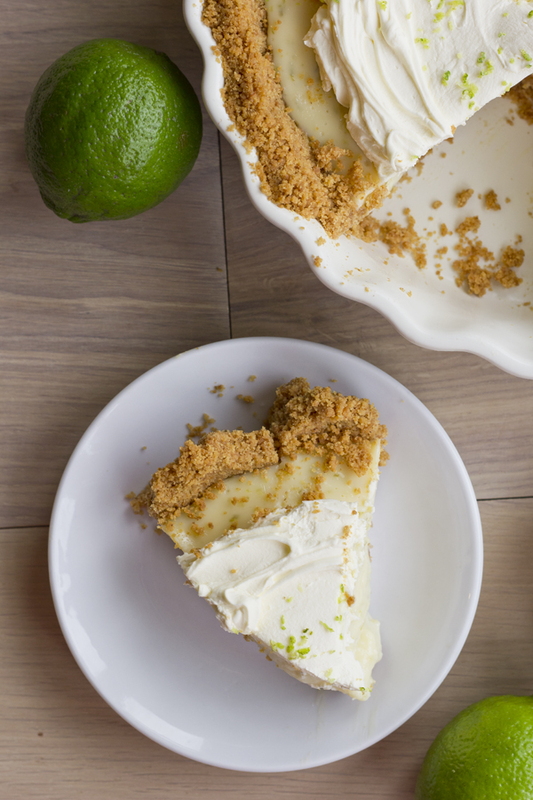 I don't think I've ever had key lime pie but it looks so good I feel I need it in my life. 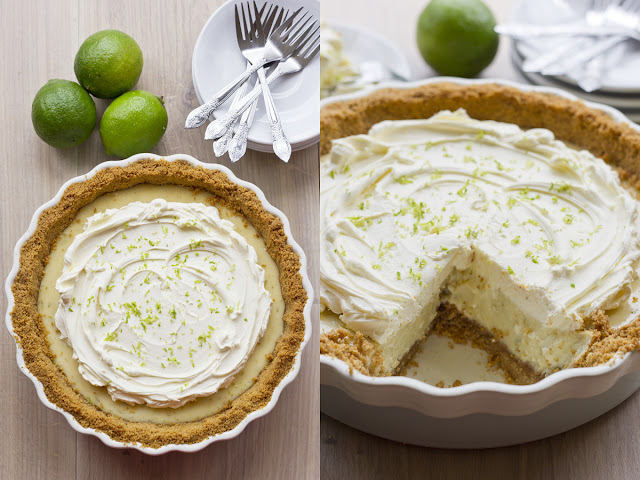 Sophie, go to m&s after work and grab yourself a premade one just so you can experience this ! and obviously, then you must recreate it and tell me alllll about it ! my pleasure, always a good day when you find someone new to follow ! A wonderful pie! It looks really divine. Wow thank you so much Rosa! It really really means a lot ! The crust alone would be satisfying for me! This looks incredible! you NEED to try this recipe rachel ! Really good, made it for the office wasnt too sweet or too tart.